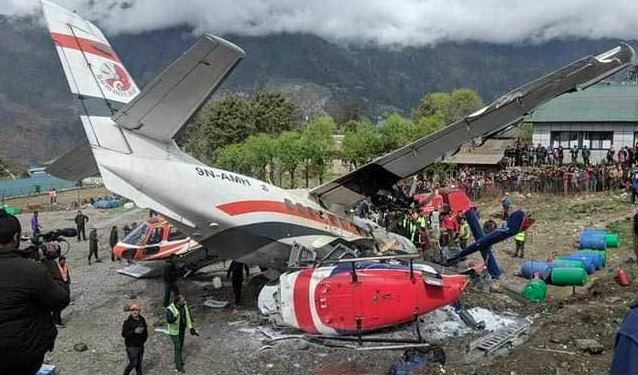 Kathmandu: Three persons were killed when a plane veered off the runway and hit two helicopters while taking off near Mount Everest in Nepal on Sunday. Three persons have also been injured in the mishap. The accident occurred at Lukla airport which is the main gateway to the Everest region and is reputed to be one of the most difficult in the world for landings and take-offs.